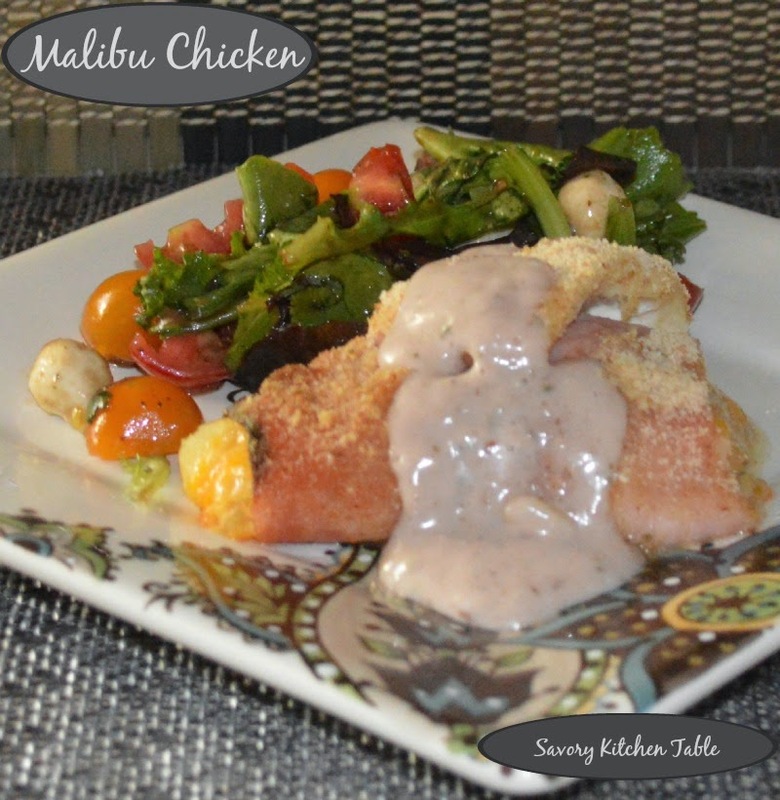 Many years ago you would find Malibu Chicken on many menus for popular restaurants. Lately I've been craving it. I couldn't find a recipe that was exact so I decided to bring Malibu Chicken into the 21st century using my favorite flavors. The original recipe I believe was just chicken breast, a slice ofham, a slice of Monterey jack cheese layered and a simple sauce. I added pineapple - after all ham and pineapple are always a winner together and I updated the cheese to more flavorful combination and then rolled them into bundles. Flatten chicken breasts to 1/4-in. thickness. Spread 1 tablespoon mayonnaise over each; layer with ham, cheese and pineapple. Roll chicken over pineapple; secure with toothpicks. In a shallow bowl, combine the bread crumbs, Supreme Shallot Salt, white pepper and Savory celery flakes. Roll bundles in bread crumb mixture; place in an 11-in. x 7-in. baking dish coated with cooking spray. Bake, uncovered, at 350° for 45-50 minutes or until cooked through. Meanwhile, in a small saucepan, combine the sauce ingredients. Cook, stirring occasionally, until heated through. *you can use 1 can Campbells Cream of Chicken Soup if you prefer - I just prefer the scratch. Do you hate buying canned soups for use in recipes? Do you want something healthier and less costly? These recipes make perfect substitutes for 1 can of soup. Melt the butter in heavy saucepan. Blend in flour and salt. Cook until bubbly. 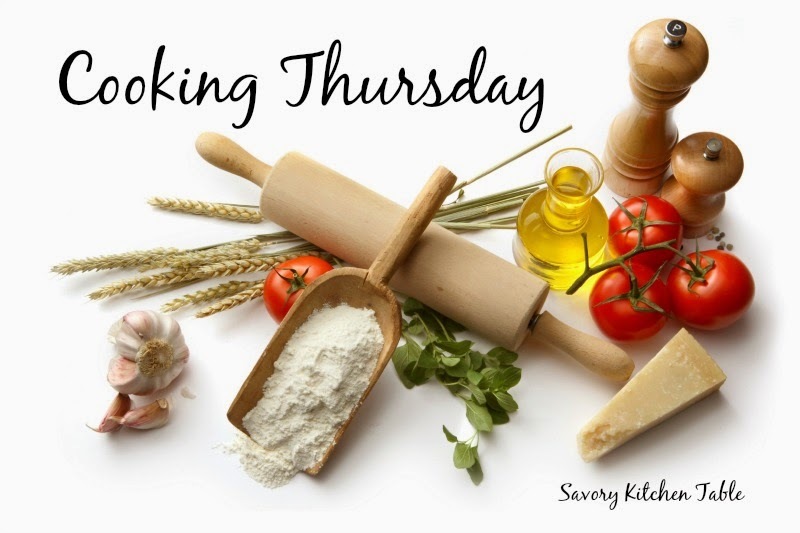 Remove from heat and gradually stir or whisk in liquid. Return to heat and cook, constantly stirring until smooth and thickened. Cream of chicken: Use 1/2 c. milk and 1/2 c. chicken broth as the liquid. Add 1/4 tsp. poultry seasoning or sage. Cream of celery: Saute´ 1/2 c. chopped celery and 1 T. finely chopped onion in the margarine before adding flour. Use milk for liquid. Cream of mushroom: Saute´1/4 c. finely chopped mushrooms and 1 T. finely chopped onion in margarine before adding flour. Use milk for liquid. Tomato: Use tomato juice as liquid. Add a dash each of garlic salt, onion salt, basil, and oregano. Cheddar cheese: Use milk for liquid. Stir into the finished sauce 1/2 c. shredded sharp cheddar cheese and 1/4 tsp. dry mustard. Cream of shrimp: Drain the liquid from a small can of tiny shrimp into a measuring cup. Fill cup with milk to measure 1 cup of liquid. Add a dash of pepper, onion salt, curry powder, and paprika to the finished sauce, and stir in the shrimp.